Chuck's fourth and penultimate season is a bit of a mixed bag. It's as reliably watchable as ever but a feeling of staleness is never too far away. Chuck's search for his mum feels a little derivative of his earlier search for his father. The producers try to make the two storylines more individual by painting the characters very differently and approaching the plots in different ways (we meet Chuck's mother very early on and see how she reacts to Chuck's attempts to find her), but there is the feeling that we have been here before. Linda Hamilton's casting as Chuck's mother may also be a geek-friendly nod to the audience (and an excuse for a few Terminator gags), but unfortunately Hamilton gives a stiff and somewhat unconvincing performance that doesn't help the problem. Much more successful is Timothy Dalton, channelling pure scenery-chewing villainy in his role as Volkoff, an evil arms-dealer with a surprisingly sentimental side (a sequence where he plays charades is particularly demented). His appearances are highlights of the season. Where the story goes awry is in the show's descent into predictable cliche. Sarah and Chuck have been together for more than five minutes, so clearly they now have to talk about getting married, with all the attendant, predictable storylines that brings along with it. 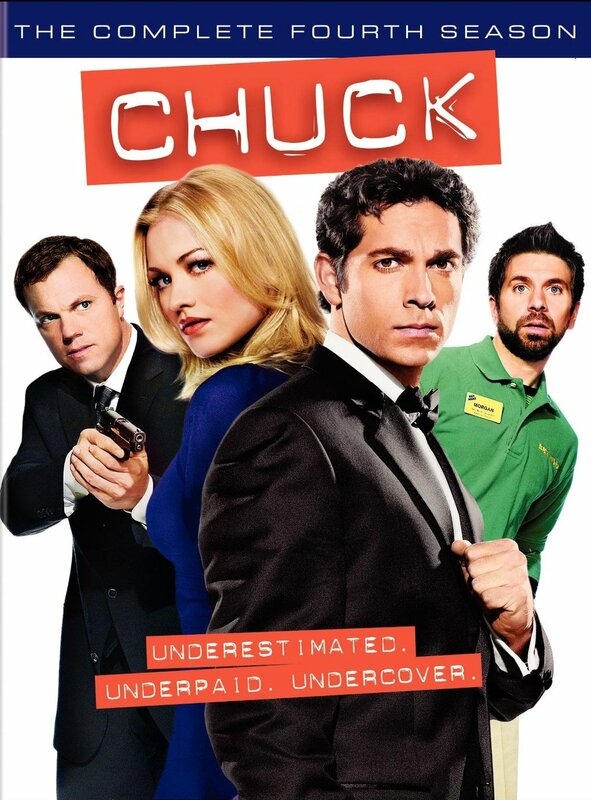 The actors do their best with the material, but it feels like Chuck-the-espionage-comedy-drama is losing ground to Chuck-the-soap-opera, which is a fundamentally less interesting show. This isn't helped by the emphasis moving more away from the Buy More, with less screen time for Jeff and Lester's crazy antics or Big Mike's curiously entertaining Subway obsession. Isaiah Mustafa (aka 'the Old Spice advert guy') appears a recurring employee at the Buy More which sets up an amusing storyline, but again it fails to fulfil its potential and he soon disappears. Still, the show remains enjoyable on an episode-by-episode basis. At 24 episodes, it's the longest season of the entire series and this would risk the storyline becoming overstretched, but the writers break it into two half-seasons to better handle things. The first half revolves around the battle against Volkoff and the search for Chuck's mum, whilst the second sees a return to more stand-alone storylines before a new story arc involving Volkoff's daughter (an under-written Lauren Cohan) kicks off. This arc, in which Chuck inadvertently turns Volkoff's daughter from an ally into an enemy, is potentially fascinating but falls apart due to some clunky writing and contrived events. The fourth season of Chuck (***½) has many individually entertaining episodes and moments, and the regular cast remains as watchable as ever, but there is a feeling of tiredness creeping into affairs. However, the show is rejuvenated by a shake-up in the final episode that could make the fifth and final season more interesting. The season is available in the UK (DVD) and USA (DVD, Blu-Ray) now.